Q: WHAT EXACTLY IS MEAT STREET? A: IT'S A MEAT FEST! THE PREMIER MEAT FESTIVAL OF SOUTHERN CALIFORNIA HAS ARRIVED! All of the meat-centric grub you can imagine is coming to the Main Place Mall on April 22, 2017. 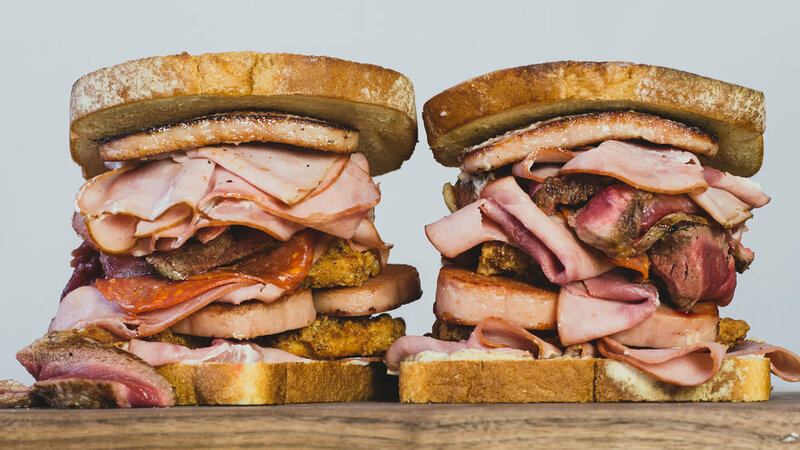 Presented by Foodbeast and The Makers of The SPAM® Brand, this one-day meat fest will feature a wide variety of delicious and crazy exclusive culinary creations, as well as drinks and other fun activities. MEAT STREET will be a one-day event, with an estimated attendance of 4,000+ people. It will take place within the South West corner of the Main Place Mall outdoor parking area, which is located in Santa Ana, CA. This festival will have a Buy-As-You-Go Marketplace Section, from 11AM - 11PM featuring mouth-watering dishes from vendors you know and love such as Mess Hall Canteen, The Viking Truck, Hobo Co. Pizza and many more.The All-You-Can-Consume VIP Section is going to be stacked and has two separate sessions during the day. Both VIP sessions will feature fan-favorites like Bruxie, Slater's 50/50, Cubed Poke, and dozens more — plus BEER. A variety of Southern California eateries will be bringing EXCLUSIVE WORLD PREMIERE ITEMS that can only be experienced at MEAT STREET! Expect newsworthy BBQ, burgers, desserts, sandwiches, tacos and tons of meat-tastic dishes. Aside from the epic food and drink experience, guests at MEAT STREET can partake in a handful of engaging activities. Those in attendance at MEAT STREET can watch The Largest SPAM® Musubi creation be constructed LIVE on stage in the Marketplace section. It's going to be HUGE! All VIP guests will have the opportunity to vote for their favorite food item from the VIP section of the event. Winners will be picked by the end of the second VIP session. Guests can visit The Halal Guys' booth in MEAT STREET's VIP Section and get a first-hand look at the World's largest Halal Guys platter. Filled to the brim with fresh gyro, rice, chicken, veggies and topped with their famous white sauce and drizzled in their signature hot sauce, this serving platter is close to unbelievable. Five competitors will test the strength of their tastebuds, and their inner spirit, during The Halal Guys Hot Sauce Challenge. Taking place within MEAT STREET's Marketplace section, this hot sauce competition is NOT for the weak at heart. These five pre-selected participants will step on stage with one common goal: eat as much of The Halal Guys combo platter(s) as possible, which will be heavily doused in The Halal Guy's signature hot sauce. The contestant to down the most of the platter in the alotted amount of time without throwing in the towel, will win free Halal Guys for a month. 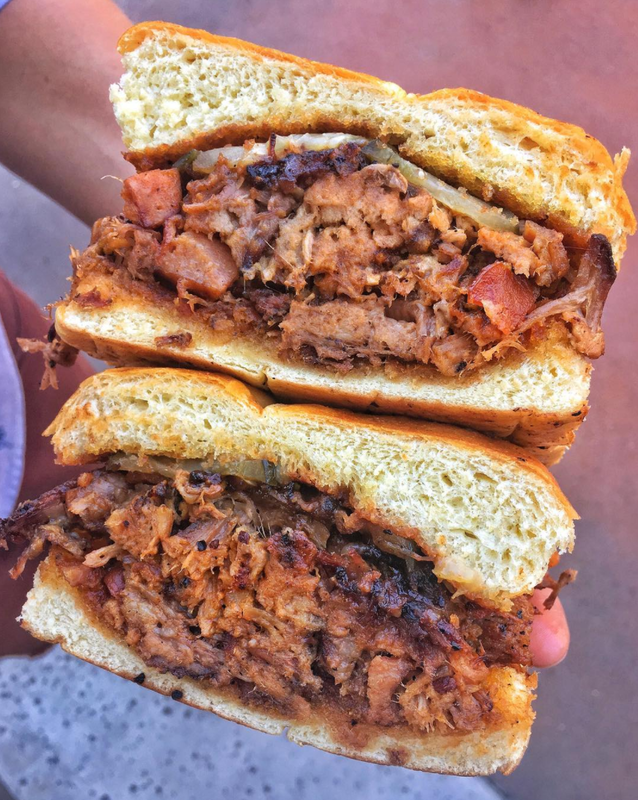 MEAT STREET, the premiere meat festival of Southern California, will bring together talented vendors who will create custom meat-centric dishes that will make their world debut at this event. Expect a handful of vendors to collaborate with the SPAM® brand and utilize their products in a innovative and unique way. With a large number of participating vendors bringing the best of their offerings, and incorporating the Foodbeast elements we all know and love (we’re talking epic eats you won’t find anywhere else), guests are guaranteed to leave full. FOODBEAST's MEAT STREET presented by The Makers of the SPAM Brand will feature dozen of EXCLUSIVE Food Items available for individual purchasing, or through an All-You-Can-Consume VIP ticket... which includes beer! Meat Street will take place within the South West corner of the Main Place Mall outdoor parking area -- 2800 N Main Street, Santa Ana, CA. Mall Parking -- FREE -- public parking available in adjacent parking structures and additional spaces throughout the mall property. Our Marketplace Section is open to all ages, with children to be accompanied by an adult. Our VIP section is 21+ only. Due to health regulations, animals are not allowed in the festival. Please be aware that all ticket sales are final. What charity is my ticket purchase supporting? A portion of every ticket sale goes to support Inspire Artistic Minds. This is a 501(c)3 charitable organization that provides scholarships to people in the hospitality industry, to attend events or experiences that will inspire them. MEAT STREET is a RAIN OR SHINE event. Additional Sample Coverage ...coming soon!